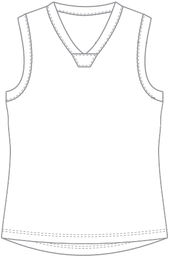 It is a requirement of the Perth Football League that playing jumpers and shorts carry specific marks (logos/wording). 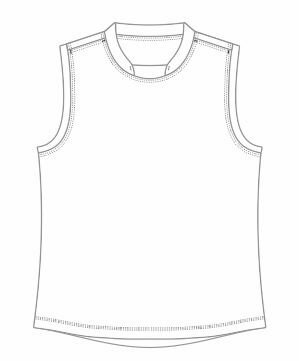 These marks are under license from the Perth Football League and respective sponsors to be applied in accordance with the Jumper & Short Specifications. 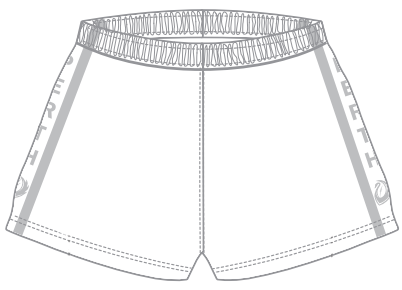 Blackchrome have been engaged as the only manufacturer permitted to use these marks on Men's and Women's playing jumpers and shorts. Self fabric trim at arm holes. Mens Sizes XS - 5XL. There are no delivery fees via standard road freight. Urgent orders requested by clubs that require air freight will be subject to freight charges. A sizing set of playing jumpers and shorts for Men's and Women's apparel is available. Collection is from the Perth Football League at Subiaco Oval and clubs can loan the sets for a maximum of 7 days. Contact Jessica Hancock, on 9287 5591 or email jhancock@wafc.com.au if you wish to loan the sizing set. Holly will manage and liaise directly with the club until artwork is successfully completed. Once artwork has been approved by you and the league, the new art including its VL code will be put on the online shop for ordering. You can now only order off the online shop. Holly will then notify the club they can submit their order onto the webshop. For On-field Product Enquiries, Order Progress, Delivery. The Perth Football League is mindful some clubs may have sponsorship with sport retailers and other uniform manufacturers. This manufacturing arrangement does not restrict clubs from purchasing playing socks, polos, jackets, training jumpers and other merchandise from Blackchrome Sportswear, other retailers or uniform manufacturers. 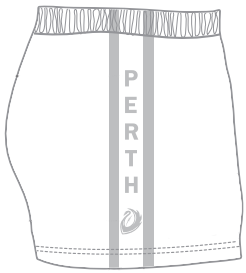 This apparel is not permitted to carry the Perth Football League, Carlton Draught and West Coast Eagles trademarks and is therefore outside this arrangement.